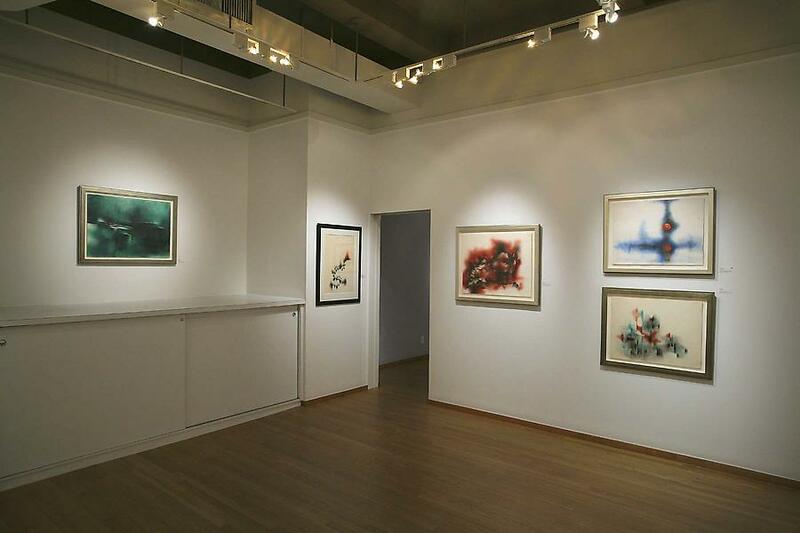 (New York City, December 16, 2008) -- Michael Rosenfeld Gallery is pleased to present its second solo exhibition featuring the work of Norman Lewis (American, 1909-1979). Scheduled to be on view from January 10 thru March 7, Norman Lewis: Abstract Expressionist Drawings, 1945-1978 will include fourteen works on paper from four decades; each drawing has been selected for its distinctive use of line and color. Lewis's abstractions vary from barely detectable representations of people in their environments to apparent nonobjectivity. Noted scholar Ann Gibson writes in the exhibition catalogue Norman Lewis: Black Paintings, "Like other abstract expressionists, Lewis rose to the challenge of his time by wringing from line and color metaphorical potential, a potential, however, that whose impact was to be impervious to verbal translation. The payoff was to be meaning on a universal scale." 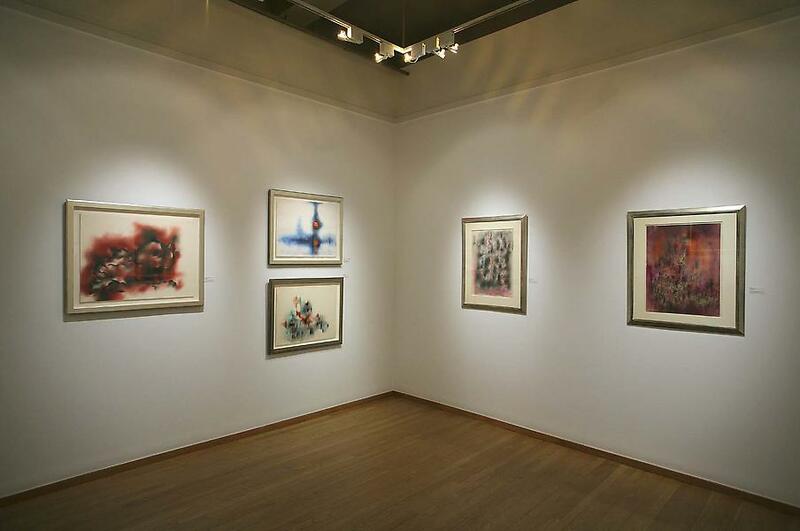 of calligraphic, fluid forms suggestive of groups of figures engaged in kinetic activity, distinguished him from his Willard contemporaries, including Mark Tobey, Charles Seliger, and Morris Graves. Among the artists with whom Lewis frequently exchanged ideas was Ad Reinhardt, who like Lewis, rejected protest painting in search of a more universal mode of expression. 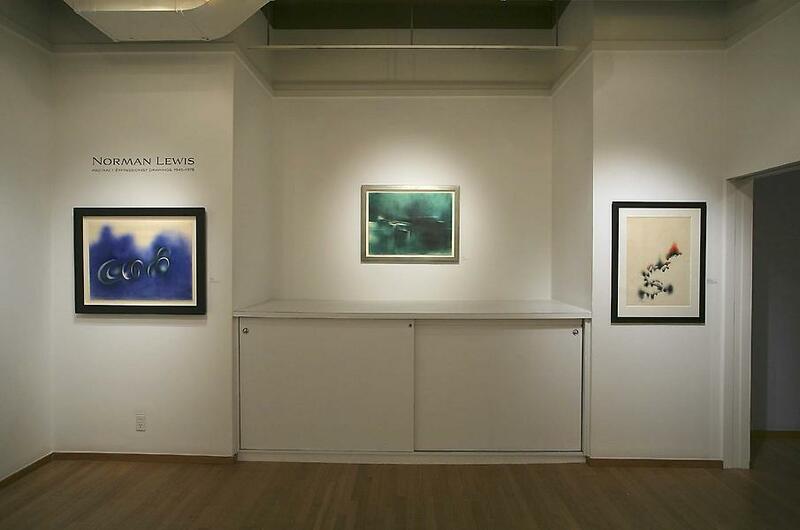 In 1955, Lewis became the first African American artist to receive the Carnegie International Award in Painting for his Migrating Birds (1953). He was a founding member of the Spiral Group (1963), which sought to contribute to the Civil Rights movement through the visual arts, and in 1969, along with Romare Bearden and Ernest Crichlow, he co-founded Cinque Gallery, a downtown gallery dedicated to fostering the careers of emerging artists of color. 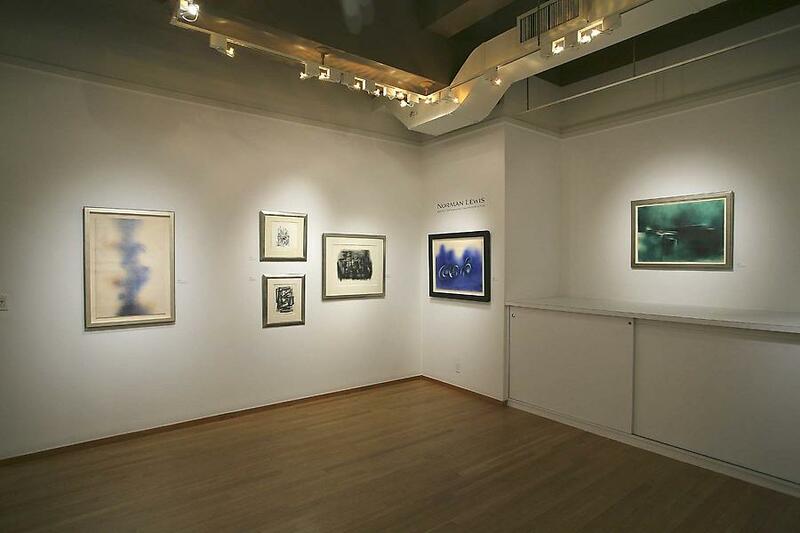 A recipient of a National Endowment for the Arts Grant (1972) and a Guggenheim Memorial Fellowship (1975), Lewis received his first retrospective exhibition in 1976 at the CUNY Graduate Center, New York. He has since been the subject of two recent solo exhibitions: in 1988, the Studio Museum in Harlem presented Norman Lewis: Black Paintings 1946–1977 and in 1999, Michael Rosenfeld Gallery exhibited Norman Lewis: Intuitive Markings–Works on Paper, 1945-1975. His work is included in numerous public collections throughout the United States, including the Art Institute of Chicago, the Metropolitan Museum of Art, the Museum of Modern Art and the Smithsonian American Art Museum. In 2010, Norman Lewis by Ruth Fine, the seventh volume in the David C. Driskell series of African American Art, is to be published by Pomegranate Press.